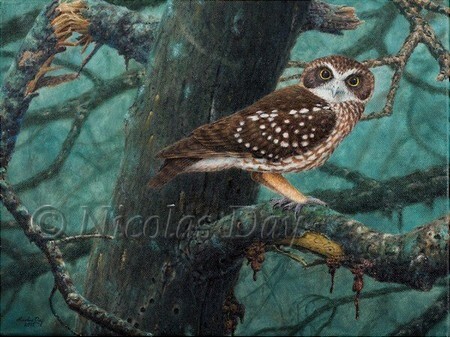 Southern Boobook Owl print from original Nicolas Day painting. This owl is widespread in Australia. Several closely related forms of Boobook inhabit a range of climatic and habitat types. 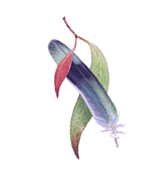 One is found in New Zealand, another island form sadly became extinct in the 1990's. Drawings were made from a bird brought to me after it had been hit by a car. Upon recovery it was released at the same spot from which it had been rescued.